Rachel Ashwell Rose Majesty Bedding - Swatches may be available. 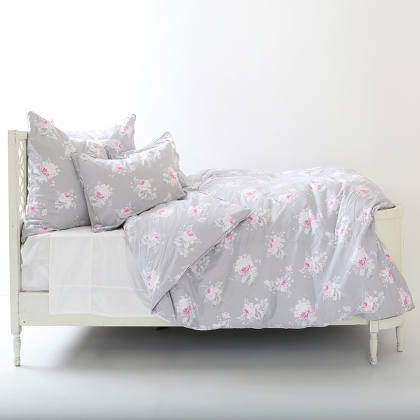 Rose Majesty features a classic white floral design on a dusky grey backdrop with beautiful pops of pink for a touch of romance. Machine washable. 100% Cotton Poplin. Machine Washable. 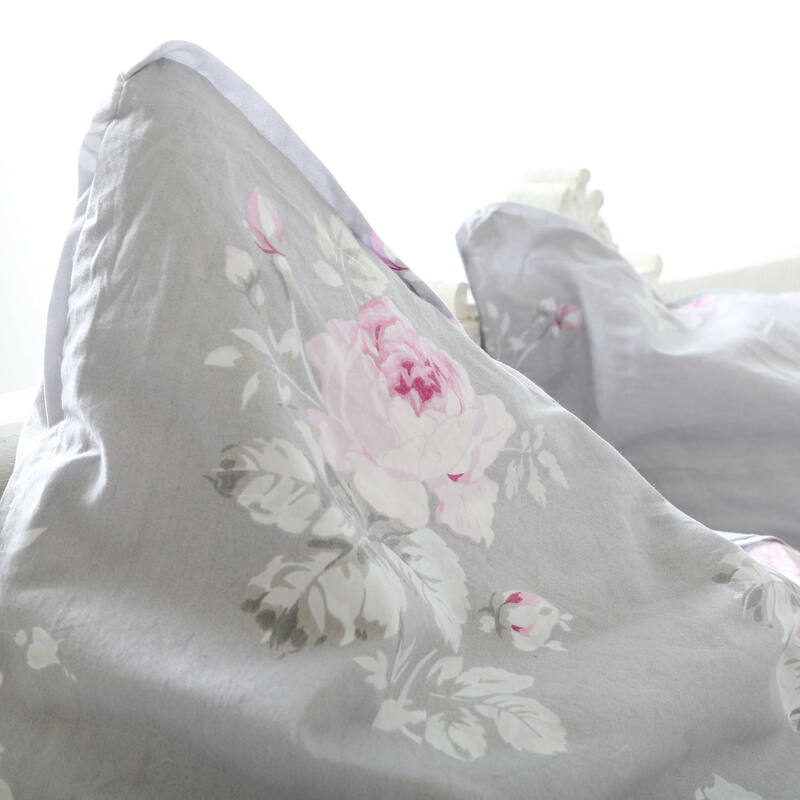 The charming Rose Majesty with all-over pink floral print on a grey ground is for the true romantic. Duvet has zipper closure. The charming Rose Majesty with all-over pink floral print on a grey ground is for the true romantic.